Create a new drop-off/ pick up zone at the east end of the boathouses. Provide a new signalised pedestrian crossing across Alexandra Avenue. 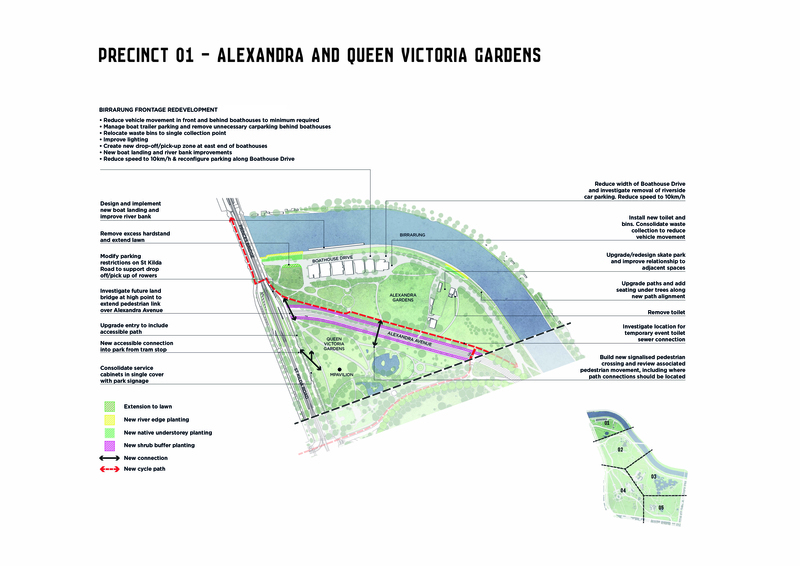 Provide accessible paths at entrances to Queen Victoria Gardens. Upgrade toilets in new locations. Upgrade paths adjacent to the river. Future upgrade to boat landing and riverbank.